Dosage: Adults and Children above 6 years: 1 tablet sublingually or dissolved completely in mouth 3 times daily or as directed by a physician. Infants and children to 6 years: ½ the adult dosage. 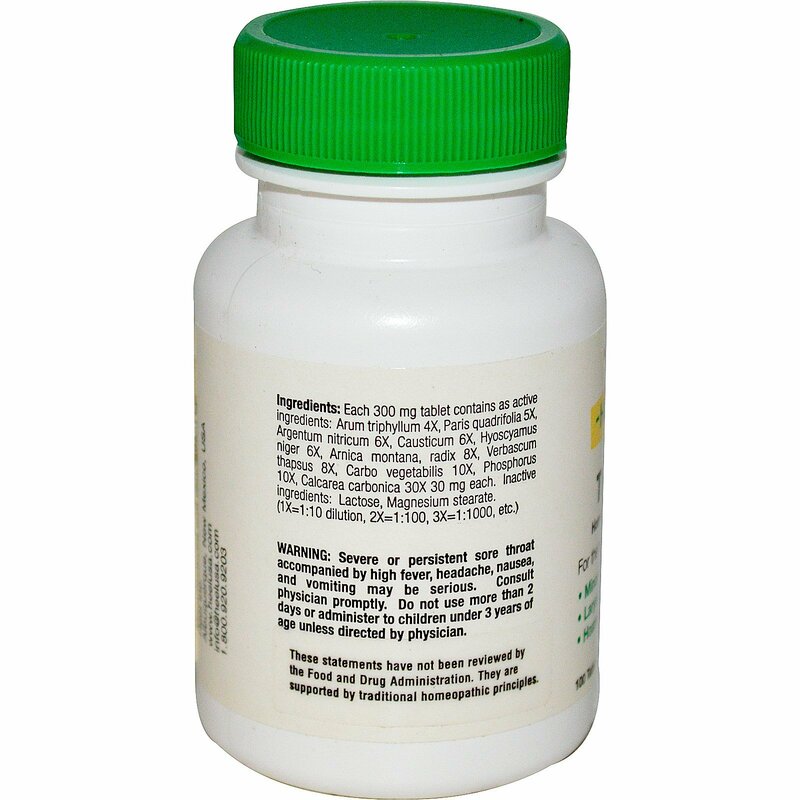 Each 300 mg tablet contains as active ingredients: arum triphyllum 4X, paris quadrifolia 5X, argentum nitricum 6X, causticum 6X, hyoscyamus niger 6X, arnica montana, radix 8X, verbascum thapsus 8X, carbo vegetabilis 10X, phosphorus 10X, calcarea carbonica 30X 30 mg each. Inactive ingredients: Lactose, magnesium stearate. If symptoms persist or worsen, a physician should be consulted. As with any drug, if you are pregnant or nursing a baby, seek the advice of a health care professional before using this product. Store tightly closed at room temperature. Protect from light and moisture. Keep this and all medicines out of the reach of children. 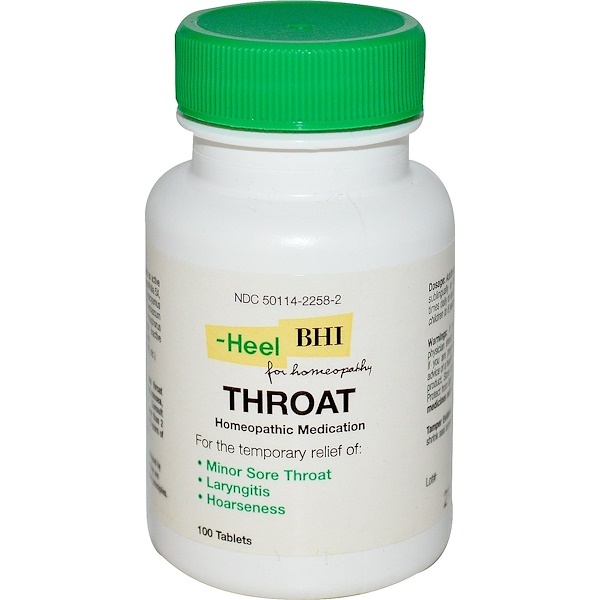 Severe or persistent sore throat accompanied by high fever, headache, nausea, and vomiting may be serious. Consult physician promptly. Do not use more than 2 days or administer to children under 3 years of age unless directed by physician.